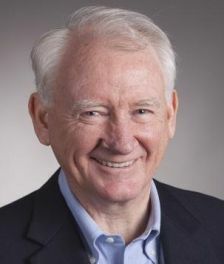 Gary has held roles on numerous state and national committees including the National Health and Medical Research Council, President of the Australian Medical Association WA, Board Member of Healthway, a member of the Western Australian AMA Council, and as Chair of the WA Drug and Alcohol Authority. Dr Debra Turner BSc(Hons), PhD is the Chief Operating Officer of WAHTN. Debbie has an extensive background in medical research and government sectors. Prior to joining WAHTN in 2018, Debbie managed the Office of the Chief Medical Officer and the Assistant Director of Clinical Services and Research in the WA Department of Health. She has 10 years’ experience in public sector policy development and strategic planning within the health and disability sectors. Debbie trained at the University of WA and undertook postdoctoral studies at McGill University, Montreal, Canada. She spent 20 years as a medical researcher based at Telethon Institute for Child Health Research, Physiology Department at the University of WA and the Respiratory Department at Princess Margaret Hospital for Children. Her research focus has been on paediatric asthma, atopy and lung disease. Professor Peter Thompson AM, MBBS, MD, FRACP, FACP, FACC, MBA is an active clinical cardiologist as well as an internationally recognised clinical researcher in coronary heart disease. Peter completed his postgraduate degree in Medicine at the University of Western Australia and trained in cardiology at Royal Melbourne Hospital and the Brigham and Women’s Hospital and Harvard University in Boston. He is currently Consultant Cardiologist and Head of the Heart Research Institute at Sir Charles Gairdner Hospital, Clinical Professor of Medicine, UWA. He is also Deputy Director of the Harry Perkins Institute of Medical Research. He has had extensive involvement over 30 years in the National Heart Foundation, and his research has been the basis for national education campaigns on the need for early action on heart attack. Peter’s research interests are in cardiology clinical trials and atherosclerotic heart disease. He has been involved in the design, conduct and analysis of clinical trials for 30 years and has extensive experience in the design and management of significant clinical trials. He has published extensively in peer-reviewed journals and has authored 270 research articles, reviews, book chapters and editorials. 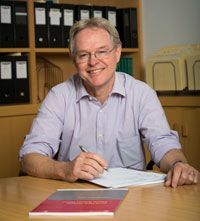 In 2015, he and colleagues were awarded the Marshall and Warren Award for the most highly innovative and potentially transformative grant from among all the NHMRC grant applications for that year. In 2015 he was also awarded the Minister for Health Award for Excellence in Healthcare. As of February 2019 , Deb is the new Head of the WA Consumer and Community Health Research Network. Continuing the responsibility for implementing a state-wide involvement program across the WA Health Translation Network’s (WAHTN) partner organisations. Deb has worked in the public health and prevention space at all levels of government – Federal, State and Local – and the not for profit sector to contribute to the health and well-being of communities. She has worked to capture the voices of all parts of the community including access and inclusion, Aboriginal and Torres Strait Islander peoples, Culturally and Linguistically Diverse communities, children and young people, mental health, health and community services. 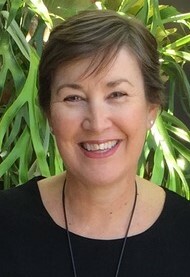 Deb has been the Chair of Advisory Groups in both NSW and WA connecting community, government and well-being. As a member of the NSW Commission for Children and Young People’s work with the NSW Parliamentary Inquiry on Children and the Built Environment. She was also a representative for WA Local Government on the recent WA Sustainable Heath Review. Passionate about policy and advocacy, making a difference in communities and turning theory into practice, Deb loves to bring people together to partner and collaborate for great outcomes. Deb’s capacity for strategic thinking and planning enables her to work at all levels of government, not for profit and community. 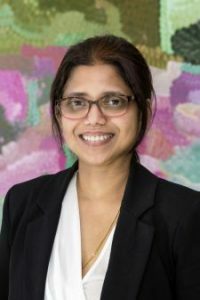 Associate Professor Rashmi Watson EdD., MEd., BEd., leads the Research Education and Training Program for the WA Health Translation Network (WAHTN) developing online research training courses available to all health researchers within the WAHTN. Her background in education as an education consultant and academic for more than 20 years has given her a depth of experience working with professionals across many sectors. She continues to provide pedagogical and leadership support to academic staff across the higher education sector and broader education sector. Rashmi has been the recipient of several teaching & research awards and has numerous testimonials which highlight her effective leadership. Dr Tanya Tuffrey BSc (Hons), PhD is the Manager at WAHTN. 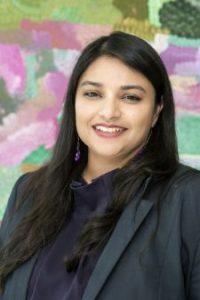 She has over 13 years of experience in administrative and project management, successfully managing the technical, financial and administrative aspects of three large research organisations, as well as a number of contract research projects. Tanya managed two Centres of Excellence, one in the Humanities and one in Science and Engineering, prior to starting at WAHTN in September 2018. She is responsible for the business operations and day to day management of the WAHTN office. Katherine Coltrona RN is responsible for providing strategic advice, development leadership and coordination of new research translation funding and training initiatives. Katherine has over 15 years’ experience in the health and medical research sector and the biotechnology industry both in policy and program development. With specific expertise in research governance. 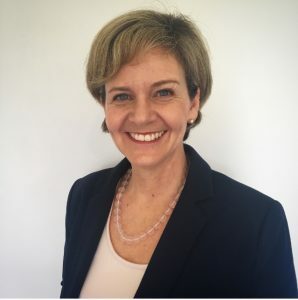 Prior to joining WAHTN, Katherine was a Senior Policy Officer in Research Development at the WA Department of Health, Manager of the Royal Perth Hospital’s Clinical Trials Business Unit and AusBiotech’s WA Executive Officer. Career highlights include the development and introduction of the WA public health sector-wide research governance framework, single ethical review schemes and clinical trial initiatives to align with national strategies. Katherine was instrumental in the development of the Research Governance Service online portal which was a 2017 Finalist in the WA Health Excellence Awards. Katherine trained as a registered nurse at Sir Charles Gairdner Hospital and completing a post-graduate qualification in Renal Nursing (ENB 136) at Guys Hospital, London. She spent 15 years as a clinical nurse and educator, specialising in nephrology, urology and dialysis at major public and private hospitals in London and Perth. Koshala joined WAHTN in 2015 and is responsible for the administrative functions of the network. She holds a bachelor’s degree in Health Sciences from Curtin University. 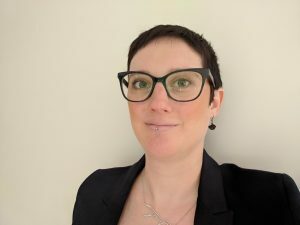 Bex is the newly appointed communications officer, joining WAHTN in January 2019. With experience in areas such as reality Tv, the mining, oil and gas sector, independent radio, and tertiary education Bex brings over 10 years of communications experience to the team. Her interests are in areas such as video, social media, content marketing, and more broadly digital communications. Bex holds a Bachelor Degree in Mass Communications from Edith Cowan University and a Graduate Diploma in Broadcast Radio and Television from the Western Australian Academy of Performing Arts (WAAPA). Other education highlights include a Certificate IV in Project Management. Bex also works with the Consumer and Community Health Research Network in a similar role.